A professional firm for the law has been handled by Mr. Sai Krishna Azad. 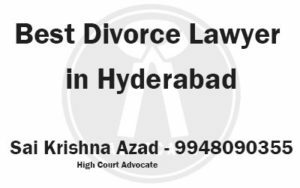 He is a legal case handler and has been practicing for 13 years at the high court of Hyderabad. He deals with all kind of Legal Services such as Name Change, Divorce Cases, Family Law Cases, Criminal Law Cases, Will(willunama), notary and deeds, adoption problems, violation of the human rights commissions, property problems and much more. For his excellence TV News channels call him for legal Advice for their programs and he actively participates by giving solutions for Legal Problem faced by common people in India. He is not only performing in High court, but also in some other courts in India. He is handling the qualified professional teams and he is working with legal practitioners all over India. He has been communicating with the higher level lawyers at the Supreme Court in various complicated cases. He shared his experiences in various media programs like Nyaaya Vedika. His teamed service was several times encouraged for his successful arguments in various complicated cases. 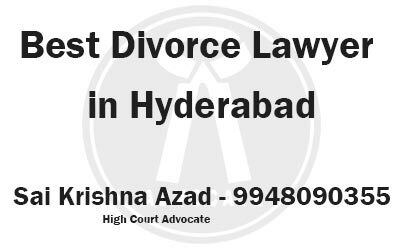 You can find many lawyers in Hyderabad, but you cannot see the achievements as done by Mr. Sai Krishna Azad. He is not only restricted to any particular case. He is responsible to handle any kinds of cases such as human rights, divorce, criminal and etc. If you want to win in your case, then you should initially approach him. Whatever may be the issue as mentioned previous, you can contact him. He has fought and won against various higher level lawyers in many cases. Talk to me! I promise I can help you!